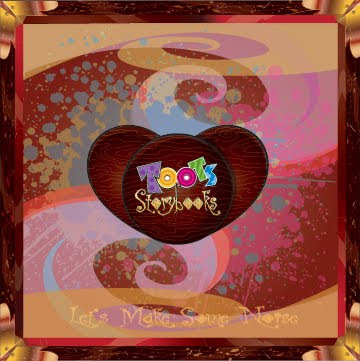 Oh yeah, there is new loo music, too! 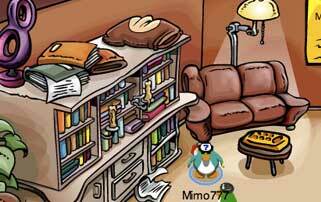 There will also be a new Medieval Penguin Style Catalog in honor of the party. There will be something for every prince, princess, king and queen to wear on their adventures. 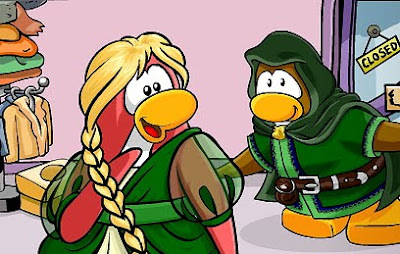 The Ranger & Blue Dragon look like costumes from the new Penguin Style Catalog! Awesome! This is so cool! What are you looking forward to the most? 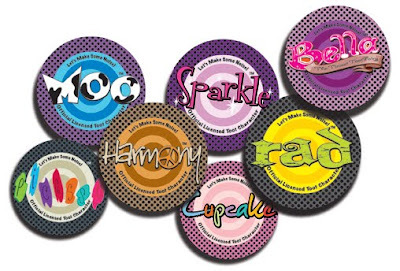 Club Penguin is trying to decide which party item to offer in the next few months, and they want us to vote. Hmm, what party do you think it will be for? If you would like to vote, click here. "I absolutely think it would be cool if you planted a flower that make the other plants around it grow and when it bloomed the the leaves tasted like ICE CREAM! then we wouldn't have to use machines to eat ice cream. (But of course we couldn't eat all of the plant). And if the stalk tasted like STEAK! Also, the roots would taste like.....Oh i know! APPLES!!!!!!" 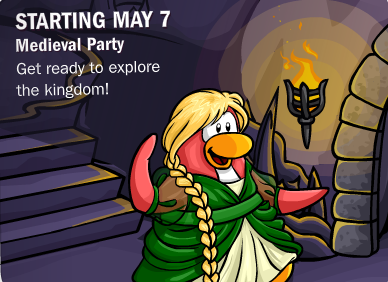 So, for this week, Club Penguin would like to hear what you are most looking forward to at the Medieval Party that will be here in May? I think I like the free items best. That is, if there is actually new item! What do you think? What is your favorite part o the Medieval Party? 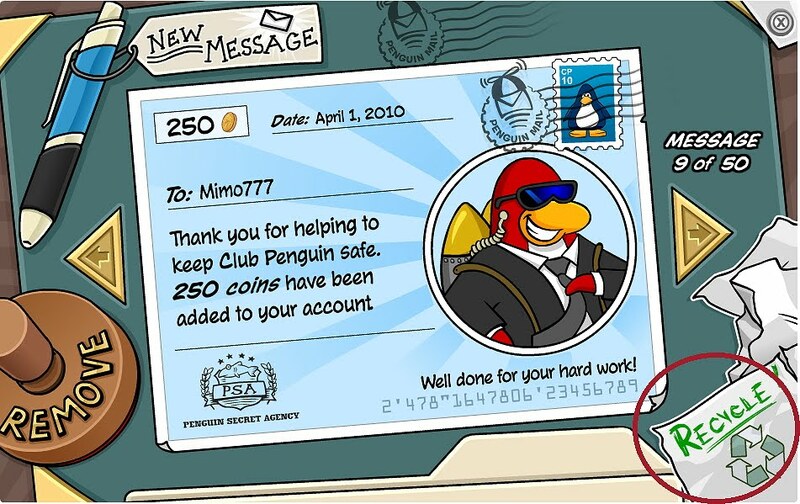 Club Penguin says the mission will be here at the end of May! If you have not joined the PSA or completed previous missions, you better get busy! Herbert is up to something big and you will not want to miss the new mission! What do you think he is up to now? 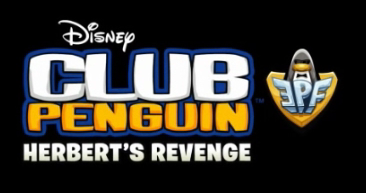 Well, it looks like Club Penguin will officially release Elite Penguin Force: Herbert's Revenge for Nintendo DS on May 25! WOOT! Club Penguin has put together a new video game trailer of the game. I looks awesome! 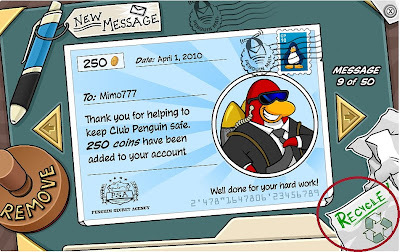 So do you STILL think the next Mission will have something to do with Herbert's Revenge? Tootsville will be having a PIVIT EXTOOTAGANZA over the next two weeks! 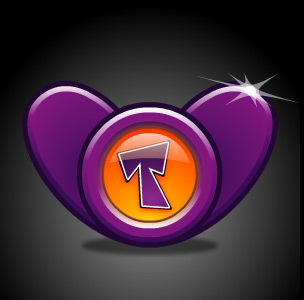 Starting on Saturday, they will have the PIVIT EXTOOTAGANZA PARTIES, one at 11:00am est and another at 8:00pm est. That is when you will be able to start your Extootaganza Pivit Collection. 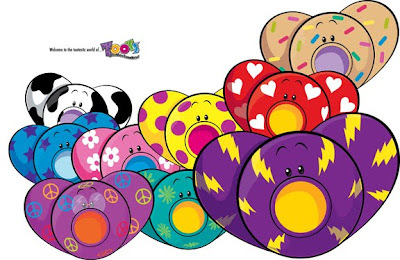 The Mayor said that Tootsville will be giving out a new Pivit every day for the next two weeks! If you miss a day it will be very difficult to get that Pivit of the day. Here is some of them, They are the official logos of all of the main characters...they rock! Hey check this out! A new storybook got posted, and it's not even in world yet. I found it on the back-end of Tootsville, go to CLICK HERE! 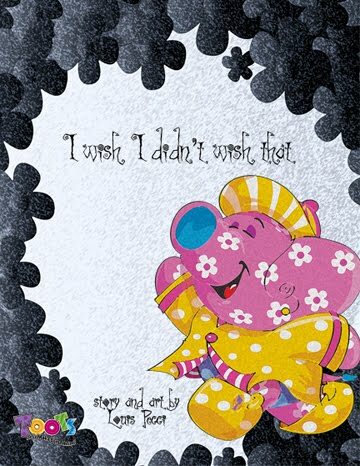 It looks like it was written and illustrated by the Mayor himself! Ok now the big news! Check out this artwork from a secret file that was leaked out on the net last night, hmmmmm. I have heard that some really amazing changes were going on but I wonder what this is for...any ideas hit me up. I can tell you one thing, my inside sources say its BIG! SWEET! Go check it out now! CLICK HERE! Club Penguin Medieval Party Coming Soon & Earthy News! Woot! 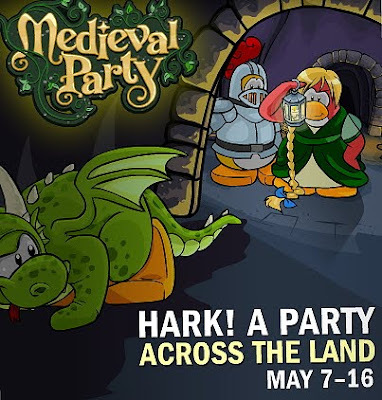 The Medieval Party will be returning again this year! It will begin on May 7th! 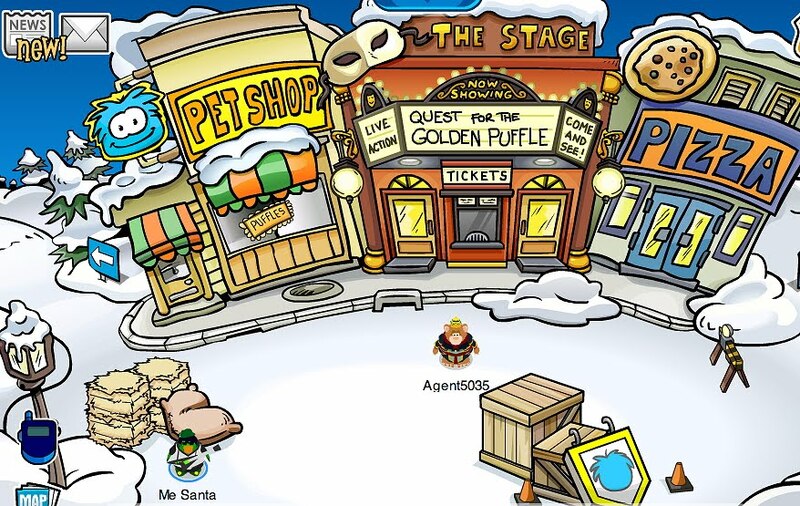 I know lots of you penguins love this party! If you haven't checked out the Earth Day celebration yet, you need to make your way to the Mine... soon! Although the NEW Recycling Plant and Community Garden will still be here after the celebration, the Recycle Hunt will not be. The Hunt ends April 25th! Hmm, that makes me wonder what we will be doing with the Recycletron 3000 when we stop collecting trash!? Let me hear your ideas! If you need cheats for the Dirt Day... I mean, the Earth Day celebration, scroll down! 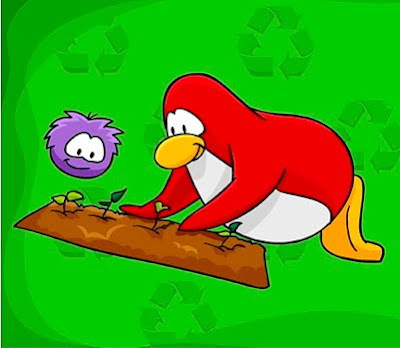 Club Penguin Earth Day Party is HERE RECYCLE HUNT! 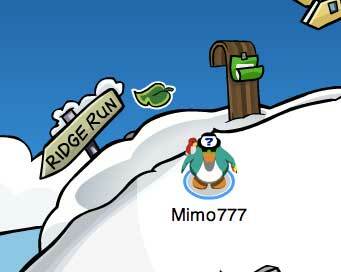 WELL JUST LIKE I PREDICTED CLUB PENGUIN IS HAVING A TRASH RECYCLING SCAVENGER HUNT! WOOT! 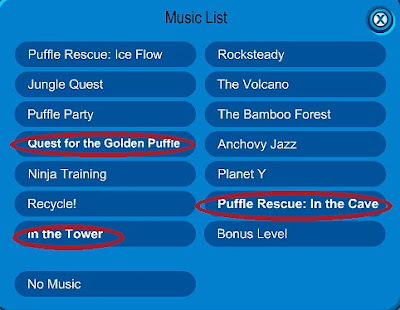 Here is how you complete the Recycle Hunt with all the Mimo Cheats! 1. Click on the Recycle Bin at the upper right of the screen. TRASH ITEM #1 is Coffee Cup in the Coffee Shop! 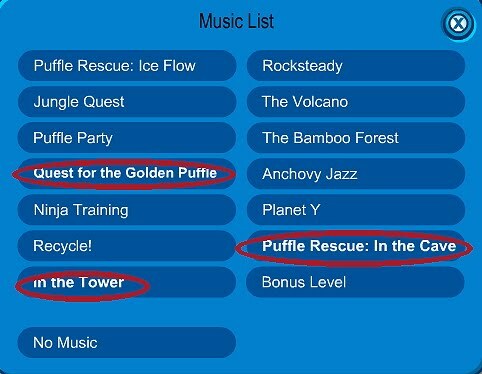 TRASH ITEM #2 Puffle Food in the Pet Shop! TRASH ITEM #3 is the Barrel at the Cove! TRASH ITEM #4 is the Hot Sauce at the Dojo! TRASH ITEM #5 is the bag of Coffee Beans in the Book Room! TRASH ITEM #6 is newspaper at the Forest! 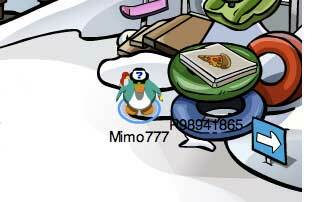 TRASH ITEM #7 is pizza box at the Ski Village! 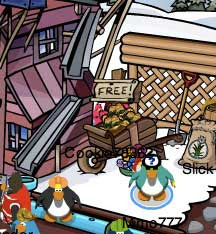 TRASH ITEM #8 LAST ITEM is water barrel at the Mine! Now you have completed the Recycle Hunt! Now you can get into the Recycle Room! 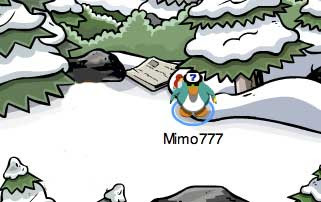 - You can get to the Mine Shack and Recycling Center thru the Forest! 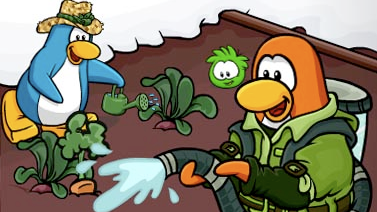 - You can throw snowballs into the green bucket and it makes water for the garden! - Babygirl261 says if you leave the water on the, plants grow and if you dance with only the straw hat on, you water it and more plants grow! Once you complete the scavenger hunt you can get into the Recycle Center. JUST like my FIRST LOOK SNEAK PEEK! 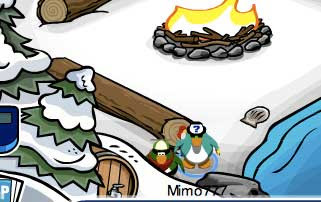 Awesome Party Club penguin! Good job! What is you fav part? Playt the Worlds Greatest Flash Game - FRAGGER! 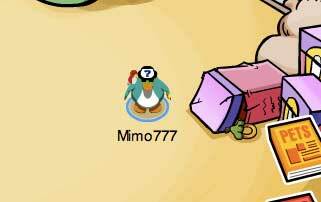 FREE ITEM at Club Penguin Earth Day Party STRAW HAT! Here is how you find the New Club Penguin Cheat - The FREE Straw Hat! 1.Go to the Mine Shack. 2. Look on the right side of the Mine. 3. Click on the box of Hats! 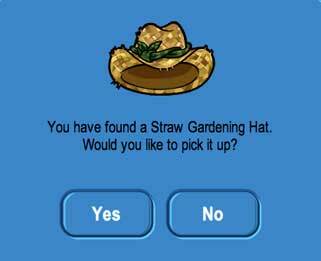 Now you have the newest Club Penguin free Item Cheat - The Straw Hat! 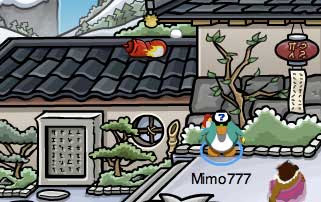 Here is how to find the new Club Penguin LEAF PIN cheat. Step 1. Go to The Ski Hill. Step 2. Now go to top left. Step 3. Now click on the LEAF PIN! 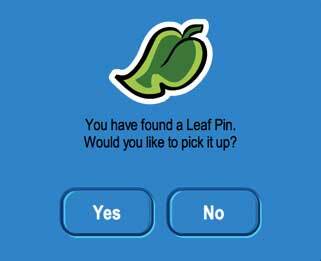 NOW YOU HAVE THE NEWEST CLUB PENGUIN PIN, THE LEAF PIN! 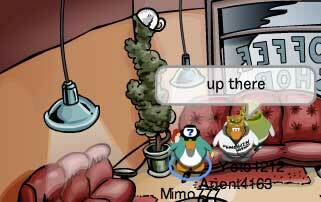 FIRST LOOK Super Sneak Peek of Club Penguin Earth Day Party! Check this. 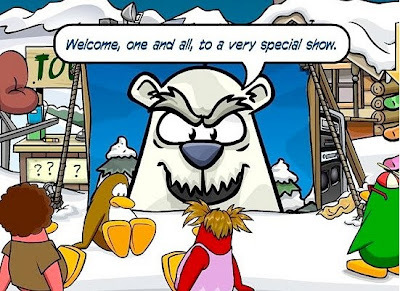 Here is an awesome first look sneak peek of the upcoming Club Penguin Earth Day party. You can see the garden, the recycling center and stuff will be on the right side of the Mine! COOL! 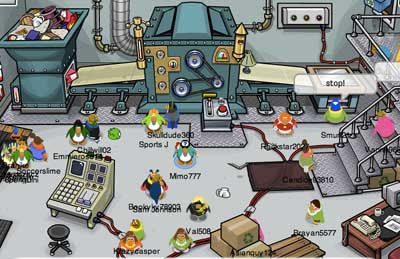 Now check out the inside of the Club Penguin Earth Day Recycling Center! I can't wait! I think the recycling thing will be fun to figure out! BTW, this is NOT fake. I have proof. Have you checked out all the new coolness on Chobots lately? "I'm like an energy-saving machine, especially on Earth Day. I'm the leader of a club my freinds and I made up. We made up a plan to ask our teachers to unplug the electric pencil sharpener, and write a note on the board about Earth Day reminding students to recycle. We even convinced the lunch workers to add two recycling bins for milk cartons and stryofoam trays.We even donate money to buy trees." Wow, Jedi 2007, that is impressive! Good work! 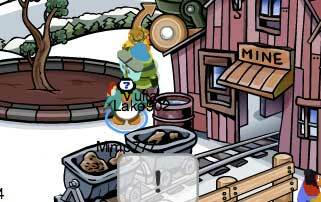 For the Reviewed By You next week, Club Penguin would like to know what you think would be cool to grow in the new garden by the Mine Shack? What weird & warped ideas do you have? I think we should grow hamburgers, french fries, and chocolate shakes! How 'bout you?